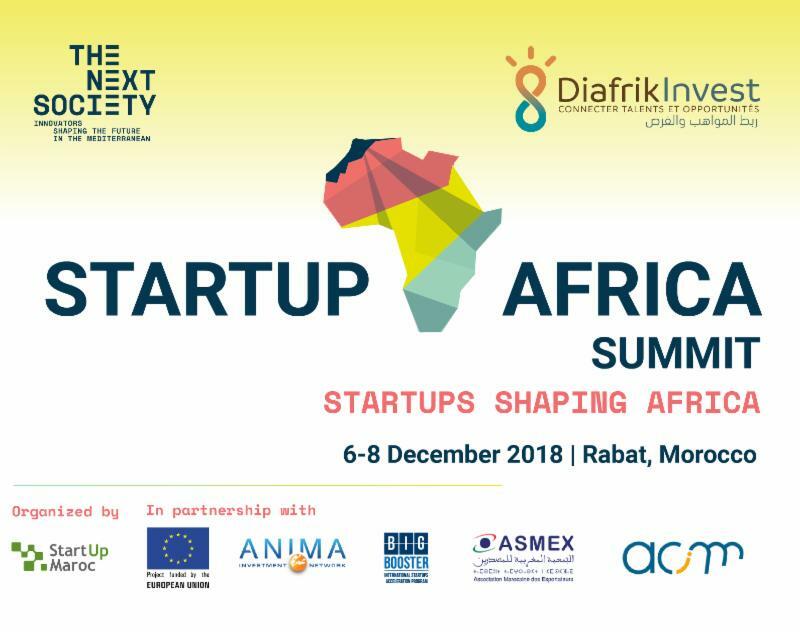 The DiafrikInvest Business Forum Morocco will be held in Rabat on 8 December 2018, in the framework of the Startup AFRICA SUMMIT. 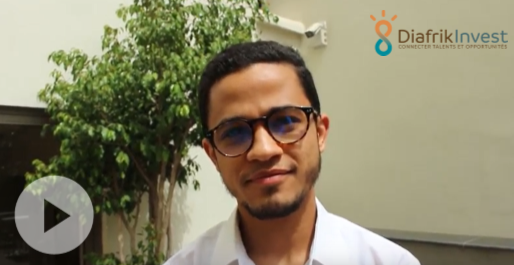 The Startup AFRICA SUMMIT 2018 is a disruptive event designed to bring together entrepreneurs, mentors, industry experts, investors and ecosystem leaders from Europe, the MENA region and members of the Moroccan diaspora to work on expansion in Africa and explore investment opportunities. It will offer an intensive learning experience that includes coaching & mentoring, networking, one-to-one meetings, trainings & workshops by the best national and international mentors, and a full-day of conference and networking! Following THE NEXT SOCIETY Bootcamp, this event is organised by Startup Morocco in partnership with Big Booster and ANIMA Investment Network. 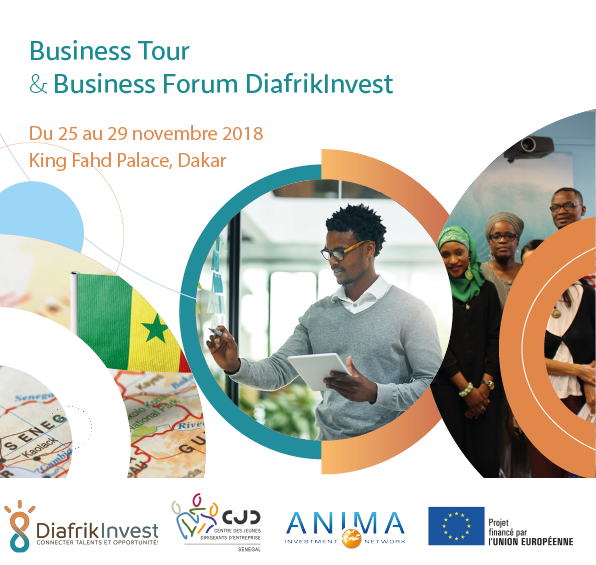 CJD Senegal organises the DiafrikInvest Business Tour & Business Forum, from 25 to 29 November 2018 in Dakar, dedicated to entrepreneurs, mentors and high talents from Senegalese diaspora, identified and supported through DiafrikInvest. 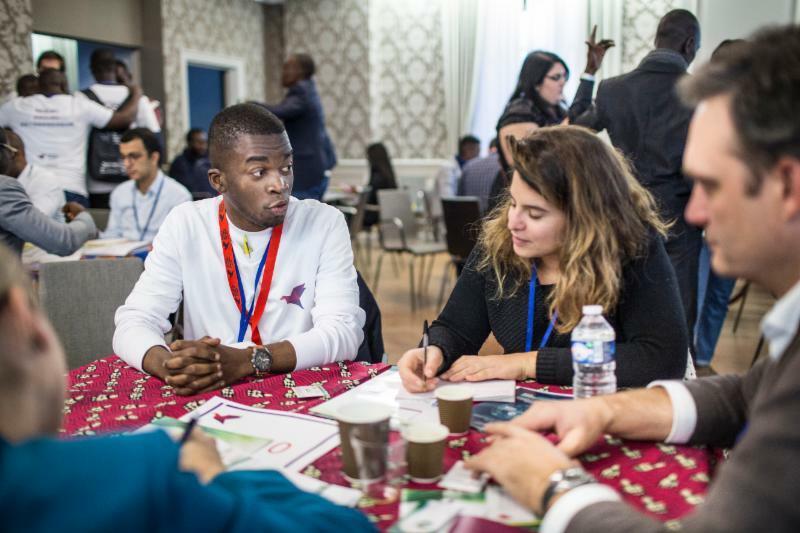 On 20 November 2018, entrepreneurs accelerated by THE NEXT SOCIETY and DiafrikInvest will join 60 entrepreneurs of the Social & Inclusive Business Camp (SIBC) of Agence Française de Développement (AFD) to convince investors during Emerging Valley, the new reference for African innovation in Marseille. A briefing workshop organised by DiafrikInvest for business angels and investment funds will tackle business angels’ concerns regarding investment conditions in Algeria, Ivory Coast, Morocco, Senegal, and Tunisia. On this occasion, the DiafrikInvest Investors Club has been launched, and will gather in Brussels (March 2019), Paris (June 2019), Morocco (October 2019) and 2020. If you are an investor and interested in this initiative, contact info@diafrikinvest.info. More information about the event. 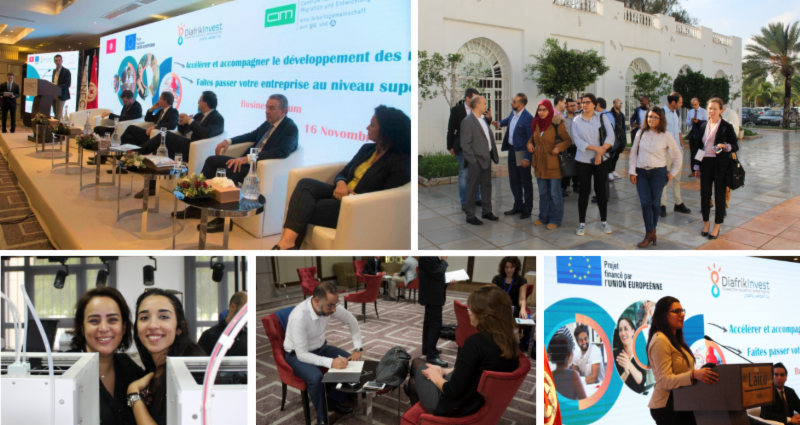 From 14 to 16 November 2018, Tunis hosted the DiafrikInvest Business Tour & Business Forum organised in the frame of FUTURALLIA 2018. On the agenda, site visits, workshops, business meetings, converging towards the same objective : connecting Tunisian diaspora high talents to the local entrepreneurial ecosystem, and answering a key question: How to mobilise diaspora to boost productive investment in Tunisia? This event was organised by CONECT, ANIMA Investment Network, ACIM, GIZ and Expertise France. Read the press release (in French only). On 16 October 2018, CJD Sénégal and ANIMA Investment Network organised in Dakar a series of meetings gathering institutional stakeholders, following the meetings previously held in order to write the Advocacy recommendations for a better contribution of Senegalese diaspora to productive investment. On this occasion, a consultation meeting was also organised, gathering participants from international cooperation, Senegalese innovation and investment ecosystem. This meeting aimed to initiate a cartography of the different stakeholders and their institutional and organisational capacities, aiming to implement the pilot action selected by DiafrikInvest to support Senegalese diaspora. This publication has been produced with the assistance of the European Union. The contents of this publication are the sole responsibility of ANIMA Investment Network and can in no way be taken to reflect the views of the European Union. 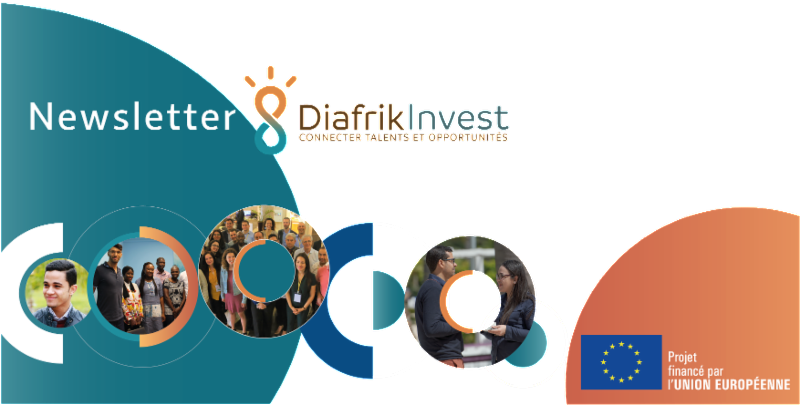 DiafrikInvest is an initiative launched at the end of 2016, its aim is to accelerate and support the mobilisation of high-level talents, entrepreneurs and investors from the diaspora to boost business relations between Europe, Morocco, Tunisia and Senegal. It is supported by a Euro-African consortium of economic development actors and employers' representatives and financed 90% by the European Union for an amount of 2.2 million euros.